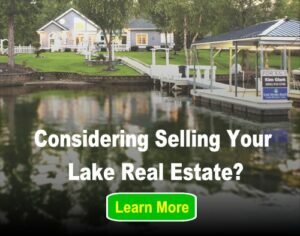 There are a huge number of advantages to living in a lake house, from the scenic views to the ability to go fishing or swimming whenever you want. However, like every other place in the world, there are always a few drawbacks – even if they are small ones. For example, living on a fresh water lake means that you may have to deal with a few bugs now and again, whether they’re harmless mayflies or those pesky mosquitoes. Mosquitoes are easily one of the most irritating bugs to deal with – and odds are you’ve been bitten by a mosquito at least once or twice in your lifetime. Mosquitoes breed and thrive in an environment that combines standing water, heat and humidity, the conditions that are optimal for them to breed. This means that when summer comes around, odds are you’ll see a your share of mosquitoes around the lake. The following are a few tips to help you deal with those mosquitoes so that they don’t ruin your summer – after all, you’ll want to enjoy those sunsets without swatting at mosquitoes every second. Install ceiling fans – Mosquitoes do not take kindly to breezy environments. If your lake home doesn’t already have ceiling fans, you should consider installing them. Not only will they keep mosquitoes away – they’ll also improve the comfort of your home! If you have a porch or a deck that you enjoy using during the spring or summer seasons, you may might consider installing a ceiling fan or two out there as well. Install screens – We all like to leave our doors and windows open during the warmer days of the year in order to allow fresh air to circulate throughout the house. However, this is an open invitation to mosquitoes. Install screens so that you can open your home up without letting any mosquitoes or other flying bugs in. You may even want to screen your porch in if you haven’t done so already. Avoid standing water – Yes, your lake home is technically sitting on a huge area of standing water. However, prevent mosquitoes from laying eggs even closer to your home by making sure you don’t leave any form of standing water out in your yard. Add citronella plants to your yard – Mosquitoes can’t stand citronella. You can use citronella candles to help keep mosquitoes at bay as well as put citronella oil on your skin to keep from being bitten. You may even want to plant a few citronella plants in your yard around your home. Even potted citronella plants on your porch can help prevent a mosquito invasion. Okay so mayflies aren’t nearly as annoying as mosquitoes – mostly because they don’t bite. That doesn’t mean that they aren’t a huge nuisance. After all, nobody wants a cloud of mayflies surrounding their head as they try to enjoy the outdoors. Replace lights – Mayflies are attracted to certain colored-lights. Light bulbs that produce a yellowish color won’t attract mayflies as much. Neither will sodium vapor bulbs – so consider replacing your outdoor light bulbs and turn all outdoor lights off when you turn in for the night. If you prefer to leave lights on for security reasons, consider installing motion-detecting lights that only turn on when motion is detected. Keep the yard clean – Keep the area around your yard clean, keeping the grass trimmed and rid of dead organic matter, such as leaves or branches, which can attract mayflies. Don’t leave food out – Never leave food out in or outside your home. This is sure to attract roaches or ants. Always throw away your leftover food in a sealed garbage can, garbage disposal or put it away in your refrigerator. Seal gaps – Go through your lake home and make sure there are no gaps in your window and door openings. Caulk your windows and add weatherstripping to your doors to eliminate entry points. Keep the area around your home clear – You should have at least a foot of space between your lake home’s exterior and any shrubs, mulch or trees to help protect against easy entry into your home by insects. Living on a lake home can be an absolutely amazing experience. Don’t let the thought of bugs put you off but following these tips can certainly help to keep your lake home bug-free. Replacing lights and keeping the home clean is an effective way to get rid of mayflies. Garlic has also proven effective. It can be used to make a spray and use around the home. Thank you for the added useful information!